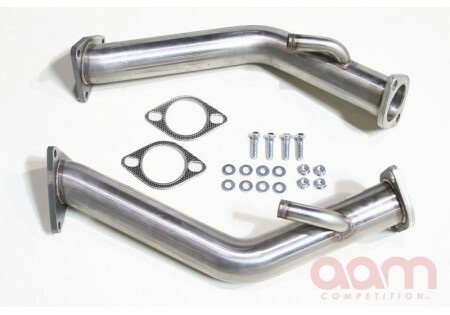 For enthusiasts looking for the highest possible exhaust flow from their vehicles, removing factory catalytic convertors in favor of 2.5in diameter race or ''test'' pipes is the most efficient upgrade available. 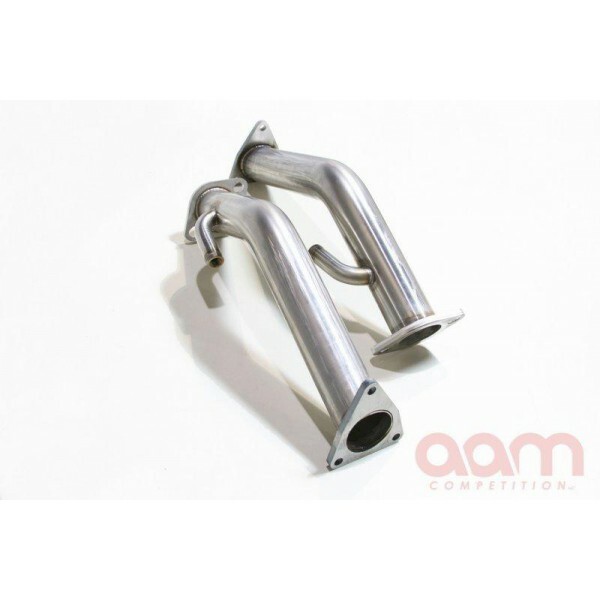 The AAM Competition 2.5'' Test Pipes replace the factory Nissan 370Z High Flow Cats and are designed purely for off-road performance. Each unit is hand assembled at AAM Competition's manufacturing facility in the USA, using raw 304 grade stainless steel components. 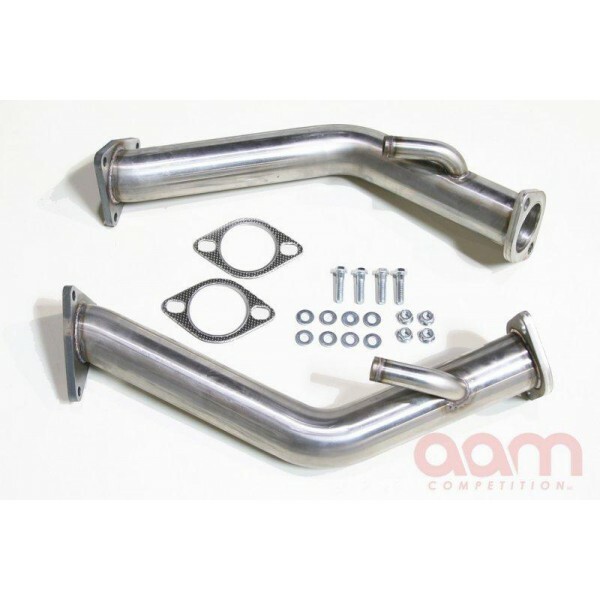 Exhaust flows freely from the engine without the restriction of catalytic convertors, and peak engine power and torque are greatly increased.